"Build A Hands On Future Today!" Manchester, NH LocationManchester Starting DatesHampton, NH LocationContinuing Education DatesCourse InfoHVAC CoursesGas Heat CoursesElectrical CoursesPlumbing CoursesSurveys and EvaluationsEnrollment formHampton Starting DatesJob Opportunity BoardPost Job Listing! 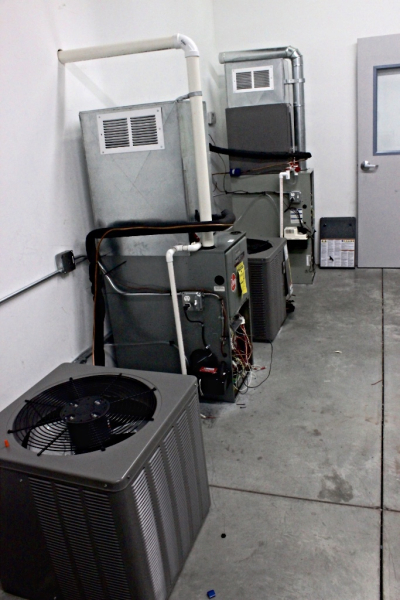 We have a variety of heating, air conditioning and refrigeration courses for many educational needs. Click on the topic below for more information! The Oil Heat Technician course has been developed over several years to provide students with the necessary knowledge and understanding required towards becoming qualified technicians in the oil heat industry. This course is designed to instruct students in the proper and safe operation of the equipment. Fifty percent of the course is spent in our top of the line Hands-On lab. Students will be instructed on proper cleaning and tune-up procedures, electrical wiring, as well as service and troubleshooting techniques. This, combined with the classroom theory instruction, will help ensure the student a more complete understanding of the course material in a “real Life” setting. The classroom theory is based on the national standards provided by NORA, the National Oilheat Research Alliance. Throughout the course students will be prepping for the NORA certification and the exam will be provided on the last day of the course. The books and lab fees cover all books, handouts and lab supplies, but students will have to provide their own basic tools. We have tool assistance to aid in the purchasing of tools. Tools are not required the first day of class; the lab instructor will let the students know what is needed. The NORA exam is optional, and has an additional cost of $50. This course, in conjunction with the NORA certification and proper tools, will assist the current technician to progress in his/her trade, as well as provide new technicians with the knowledge and credentials towards gaining employment in the oil heat industry. $100 registration fee can be placed at time of enrollment. This will g uarantee a seat in the course and it is deducted from the total tuition cost. This course has day and evening payment plans, each has a down payment that should be made prior to the course starting date. The weekly payments divide up the tuition for the duration of the course. These payments start the first week of the course. We accept credit cards, checks and cash. Payments are able to be made at check in, over the phone, mailed in or set up for auto payment. Our Oil Heat course incorporates the Silver level book and students will be eligible to take the Bronze Certification exam at the end of the course. This exam is not mandatory for the course, but is highly recommended; it has an additional charge of $50. Click the NORA logo to learn more about the organization! "How do I become a New Hampshire Licensed Oil Technician?" 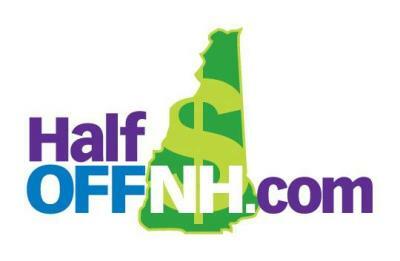 The State of NH only has a Voluntary Certification for an Oil License. This means there is no mandatory licensing, as of right now, or apprenticeship needed for NH's oil technicians. NORA stands for National Oilheat Research Alliance. This non-profit organization sets the national standards for the Oil heat industry. Silver Certification- Level two for technical competence established through training, a test and field experience. Gold Certification - Highest level is established through previous participation in the Silver Certification program with additional competency in energy efficiency. Once you become a NORA Silver or Gold Certified Service Technician you must complete 24 hours of continuing education (CEUs) every five years to maintain accreditation. "I have taken the exam, where do I find my results?" Our A/C course focuses on the residential and commercial air conditioning units, as well as preparation for the EPA certification exam. This course is designed for the current “field” technician, as well as the students with no experience but desires a career in the HVAC industry. Utilizing our fully functional Hands-On lab, students will learn how to clean, maintain, trouble shoot, and repair the equipment, as well as gain basic understanding of how to install the equipment. Students will receive manufacturing information on the equipment in the lab, as well as packets of information to prepare them for the EPA exam. Throughout the course, students will have to provide their own basic tools. Tool assistance can be provided upon request; the school can order a variety of took kits that vary in price. This course, in conjunction with the EPA certification and proper tools, will assist the current technician to progress in his/her trade, as well as provide new technicians with the knowledge and credentials towards gaining employment in the HVAC industry. $100 registration fee can be placed at time of enrollment. This will guarantee a seat in the course and it is deducted from the total tuition cost. "How do I become a New Hampshire Licensed HVAC Technician?" 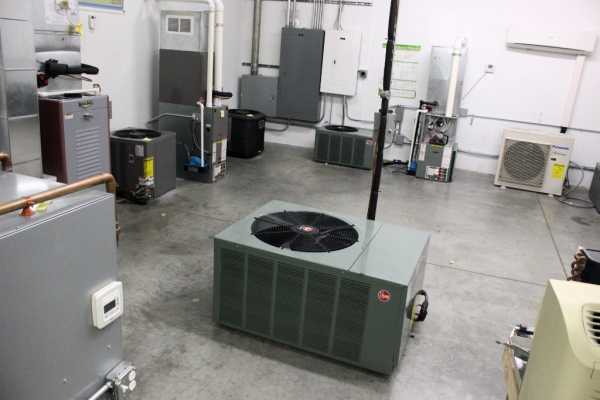 The State of NH does not have a license for the A/C technicians; however if the systems require any sort of Gas connection, the technician will need a Gas License to work on it. Click the Gas Licensing tab to learn more about the licensing process. Technicians will need to have their EPA certification to be able to work with regulated refrigerants. This certification is National recognized and a requirement in many other states. Technicians will need this to purchase the chemicals needed and is highly looked upon in the state of New Hampshire. "What is the EPA Exam?" This is a certification exam that is commonly known as 608 Certification. Section 608 of the US Federal Clean Air Act requires all persons who work with regulated refrigerants to be certified. We provide this exam at our location but it is corrected by the ESCO Institute. Grades and certification card may take a few weeks to be returned to the tester. The exam is 4 parts; 25 questions each; Core, Type I, Type II, Type III. Core -A technician must pass Core in order to earn any other certification. Type I -For servicing small appliances. Type II -For servicing or disposing of high-pressure appliances, except small appliances and MVACs. Type III -For servicing or disposing of low-pressure appliances. Universal -The successful passing of all four sections of the examination. Students taking the A/C Technician course will be prepped for this exam throughout the course. Students are not required to take this exam but we strongly suggest it. This certification is required for the Advanced A/C Technician. Exams can be taken at our facility. We always have exams on hand and you can sechedule the exam during office hours. This advanced course is designed for the working technician, some experience is necessary. This course will instruct students on the fundamentals of commercial and industrial equipment within the framework of the EPA rules and regulations. Students will learn different types of servicing procedures, state of the art refrigerant throughout a systems cycle, a review of OHMS law and electrical circuit drawings. Students will gain a better understanding of the systems, controls, wiring and troubleshooting. The down payment should be made prior to the course starting date. Our combo courses allows a student to enroll for multiple classes at discounted rates! Evening Oil Heat and HVAC - Total Tuition $4200 (saves $200!) Down payment: $700 and $140 weekly payment for 25 out of the 30 weeks. Day Oil Heat and HVAC - Total Tuition $4200 (saves $200!) Down payment: $700 and $250 weekly payment for 14 out of the 16 weeks. Evening HVAC and HVAC/R - Total tuition $4800 (saves $200!) Down payment: $600 and $140 weekly payment for 30 out of 30 weeks. There is only one down payment that should be made prior to the first course's starting date. The weekly payments divide up the tuition for the duration of the course. These payments start the first week of the first course.